Tue., July 21, 2015, 7:41 a.m.
A GRIP ON SPORTS • Were you rooting for anyone in particular yesterday during the final round of the British Open? Were you disappointed? Read on. • If someone asked me the same questions I would have to answer yes and yes. It's simple. I wanted Jordan Spieth to win. I believed it would have been incredible to have Spieth tee off at next month's PGA with three majors in his back pocket. (Tough to swing too, because those trophies are heavy.) Having someone with a chance to win the Grand Slam is just too good a story not to be rooting for it. But it wasn't to be. Spieth four-putted a par 3 on the front side, regrouped, but couldn't pull it off Monday. The field was just playing too well. OK, so Zack Johnson ended up being the one who played too well, winning the title in a four-hole playoff. But Louis Oosthuizen and Marc Leishman were in the playoff too – all finishing one stroke of Spieth in regulation – and a dozen or so other folks had a legitimate chance at sometime Monday. Yet all eyes were glued on Spieth, and not just those of his native Texas. The kid – he's still just 21 – has so much game, so much moxie (it seemed as if every time he made a bogey this week – and he made a few – he followed up with a birdie) and so much, well, likeability, that he's simple to root for. That could change, of course, as he matures and changes into an older, more-seasoned professional athlete, but lets hope not. 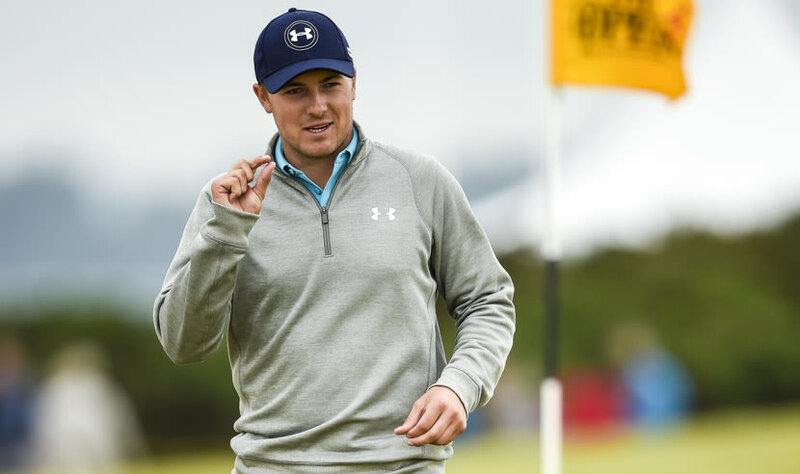 We're going to see Jordan Spieth's name on the leader boards at majors for a long time. And it's nice to have someone there you want to win. • If Spieth couldn't pull off the triple crown, if you will, then it was nice to see a grinder from middle America do it. There is nothing special in Johnson's game, if you don't think hitting fairways and greens is special. That's what the Iowa native does when he's playing well. Get the ball from point A – the tee – to point D – the hole – as efficiently as possible. He played well this week. St. Andrews has always catered to the guys who can hit the ball a long way. That's not Johnson's game. Yet he still found a way to win. Maybe it was the horrible conditions that hit the course off and on over the past few days. It magnified little mistakes (as in Spieth's first putt on the par 3 eighth yesterday). So Johnson (pictured) just didn't make very many. At least he made less than everyone else. And won his second major. • WSU: The strength of the Cougars' offense this season could just be their line. It is experienced, it is athletic and it is poised to be something special. I would say the Cougars are in great shape there. ESPN.com's Pac-12 blog thinks differently. • EWU: The Big Sky is holding its media days this week and a whole bunch of Eagles were honored by the conference. The Eagles today were picked to win the conference by the media, while Montana State earned the nod from the coaches. They do not play a conference game this season, though they do meet in a non-conference battle Sept. 19. • Indians: Despite only being at the .500 mark – they got there with a 8-3 win Monday at Boise – as the first half winds down, the Indians still have a shot at the half-season title. • Preps: It's summer basketball evaluation time (that's why I'm in Las Vegas right now) and there is a tournament in Spokane this week for high school girls. It's part of our youth sports notebook. • Seahawks: So is Frank Clark worth the risk? ... Russell Okung thinks it's time to get by without an agent. • Mariners: This is getting boringly repetitive. 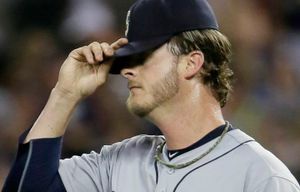 The M's starter pitches just fine. The hitters score a few runs. And the bullpen gives up a late home run that costs Seattle the game. I'm beginning to get the feeling the M's aren't going to turn this around. And, yes, that was intended to be a smart-aleck comment. ... The lineup looked a bit different yesterday, with Nelson Cruz third and Robinson Cano hitting fourth. ... This should be the final year Lloyd McClendon and Austin Jackson can claim a homecoming in Detroit. • Sounders: Marco Pappa was away recently for national team duty. Early this morning he made a major mistake that may keep him away from the Sounders for just as long. ... Who would have thought this guy would criticize the officiating? Oh ya. Everyone. • NHL: It looks as if all those folks in Seattle who had grand plans for an NHL team wouldn't put their money where their press releases have been. But who really cares?